McALLEN — J.D. 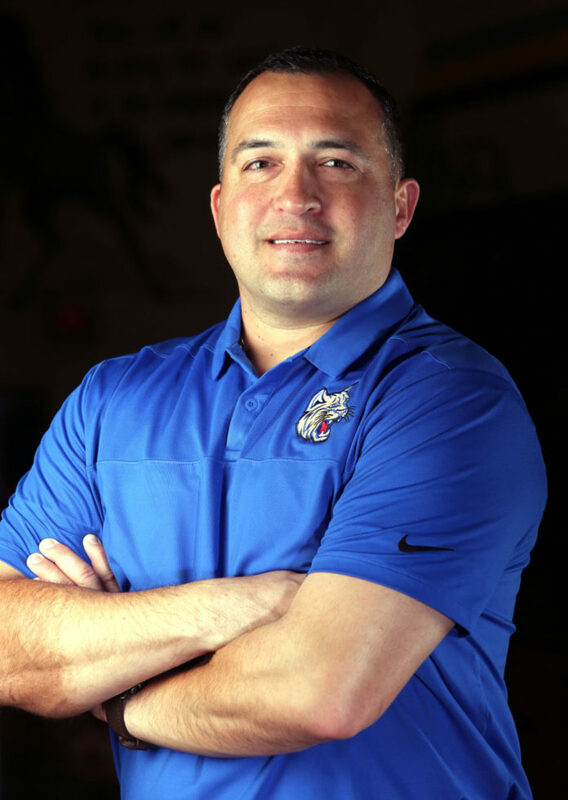 Salinas applied for the Edinburg High job at a precarious time in the program’s history. His former boss, Rachel Carmona, was let go by Edinburg CISD in the spring of 2012. It was also a time when the district was preparing for the opening of its fourth public high school: Edinburg Vela. In addition to sharing a district title with Weslaco High in 2018-19, Salinas took the Bobcats back to the UIL regional tournament since Carmona roamed the sidelines. Salinas is The Monitor’s 2018-19 All-Area Girls Basketball Coach of the Year. Edinburg High had a team built to make noise led by a familiar face. Senior guard Jenessah Santa Maria was a supporting player on last season’s top-ranked team that won a playoff game before losing to Rachel Carmona’s Laredo United Longhorns in the second round. Santa Maria’s older sister, Jayla, was The Monitor’s 2017-18 All-Area Player of the Year. Jenessah elevated her game in her final season as a Bobcat, averaging 19.0 points, 5.0 rebounds, 3.2 assists and 2.9 steals per game. Like McAllen Memorial’s Tani Talamantez and Brownsville Hanna’s Mia Paz, Santa Maria was a part of the Texas Girls Coaches Association’s Class 6A All-State team. The Bobcats weren’t able to get off to the start that they wanted due to injuries. Two of their starters from 2017-18, wing A’nnika Saenz and forward Brianna Sanchez, were out for much of the preseason portion of their schedule. Edinburg High earned a lucky draw on its side of the Region IV playoff bracket. The Bobcats didn’t leave the Valley for its first, second or third round games against Brownsville Hanna, PSJA North and Harlingen High. In its third-round game against the Cardinals, Edinburg High went on a 20-0 second quarter run and held on to it in a 20-point win that sent EHS to the regional semifinal round in San Antonio. The Bobcats bowed out to San Antonio Clark in the Sweet 16. The bond remains strong between Salinas and Carmona, who is currently an assistant under Clarisse Arredondo at McAllen Memorial.